Stepped outside to have a beer on this warm spring evening while the kids played when over the rooftop I see this wonderful Moon in the still blue sky. 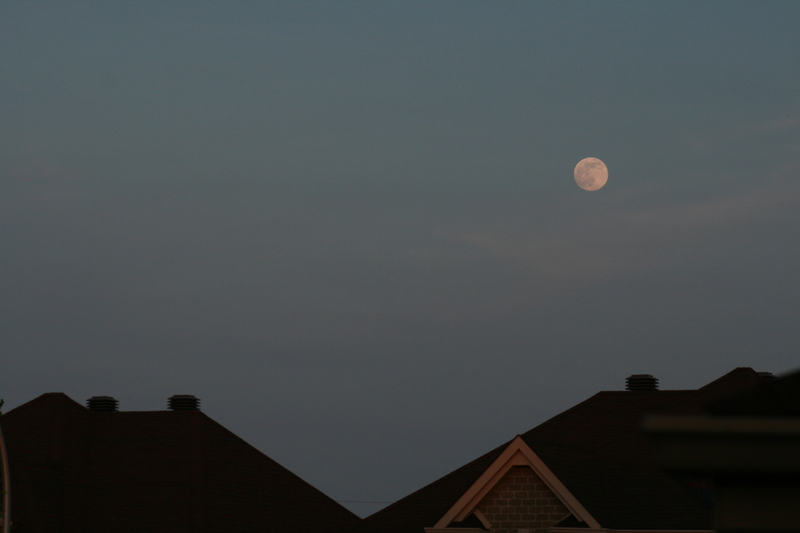 Just had to run inside, and grab my camera, telephoto lens and tripod to take a few frames. The Full Moon is tomorrow : May 21st. This entry was posted in Photo and tagged Astrophoto, Astrophotography, Moon by Benoit Guertin. Bookmark the permalink.